Malaria is an infectious condition. It is spread by mosquitos and occurs mostly in the tropics. The parasite that causes this infection goes with the name Plasmodium. There are several members in this family but the most fatal one is Plasmodium falciparum. The mosquito just serves as a carrier for this parasite and the most common carriers are female Anopheles mosquitos. In extreme cases, it can further manifest into seizures, coma or even death. According to WHO about half of the world’s population is at the risk of developing malaria. The first line of defense includes the use of mosquito nets, insect repellents, maintaining hygiene and draining standing water. Anti-malarial drugs include artemisinin, quinine, chloroquine, etc. These medications do pose unpleasant side effects but are extremely effective against malarial parasite. However, development of drug-resistant strains makes it necessary to look for alternative medicines. 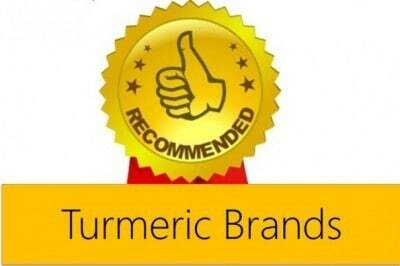 One such alternative is turmeric and its bioactive ingredient curcumin. 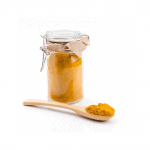 Turmeric possesses anti-microbial properties and it can kill the malarial parasite. Researchers have studied the role of turmeric with respect to various aspects of malaria. Many members of the Curcuma species are proven to have parasiticidal activity against many tropical parasites one of them being Plasmodium species. Researchers suggest using combinations of herbal anti-malarial drugs. 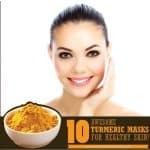 One such combination is artemisinin, curcumin, and piperine (pure compounds) and when coming to herbal remedies it is Artemisia annua leaves, Curcuma longa root and Piper nigum seeds. Curcumin also works well with other fever reducing and anti-malarial herbs. Researchers at The University of Michigan Medical School, USA showed that curcumin inhibits the growth of drug resistant Plasmodium species. Additionally, oral administration of curcumin to infected animals reduced parasite infection by 80-90%. Multidrug resistant malarial parasites are of major concern. This demonstrates how curcumin balances its prooxidant and antioxidant activity. Curcumin also inhibits the growth of other Plasmodium species parasites. Curcumin is an anti-malarial agent. It inhibits the growth as well as kills the Plasmodium species. It even terminates drug resistant species. Curcumin and artemisinin (an anti-malarial drug) act synergistically in inhibiting the growth of malarial parasite in the test tube as well as animal studies. To increase its bioavailability curcumin encapsulated in lipid structures (liposomes) was tested for its anti-malarial activity. Alone this formulation reduced the number of parasites in the blood and increased survival of animals. In combination with arteether (an anti-malarial drug used for drug resistant malaria and cerebral malaria), it not only cured the animals but also prevent recurrence. 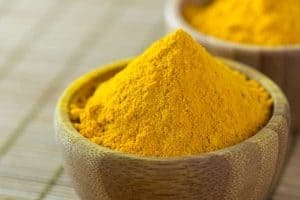 A similar formulation where both arteminisin and curcumin were included in the liposome and this combination showed stronger efficacy and fast action in terminating malarial parasite. 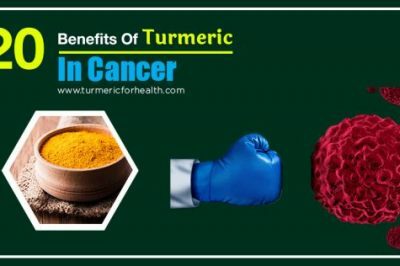 Such formulations designed to increase curcumin’s absorption and their combination offers better protection against malaria and even prevents relapse. Curcumin increases the efficacy of conventional anti-malarial drugs. This duo turns out to be fast acting and even prevents relapse. Cerebral malaria is a fatal complication of Plasmodium falciparum infection. As the name suggests it affects the brain. Parasite infected red blood cells, immune cells, and platelets stick to the blood vessels and restrict blood flow to the brain. Additionally, inflammatory chemicals are secreted leading to swelling in the brain, convulsions, and coma. ‘Modulation of cerebral malaria by curcumin as an adjunctive therapy’ by Jain et al lists 9 different targets that curcumin can modulate and serve as adjunctive therapy for cerebral malaria. This involves suppression of inflammatory chemicals, restoring antioxidant enzymes as well as detoxification enzymes and preventing adherence of cells to the blood vessels. Curcumin’s immunomodulating property (the ability to regulate immune responses) also makes it a potential candidate in treating cerebral malaria. Cerebral malaria is a fatal condition and studies suggest that curcumin in combination with conventional therapy can help treat cerebral malaria. Chloroquine phosphate is used to treat and prevent malaria. However, this drug can prove to be toxic at therapeutic or higher doses. Its toxic effects are seen on the liver and the male reproductive system where it reduces the activity of antioxidant enzymes and causes damage. 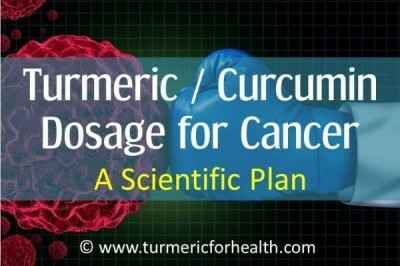 Studies show that curcumin reverses such damage due to its antioxidant property. Artensuate is an anti-malarial drug used to treat drug resistant malaria. It is a derivative of artemisinin. 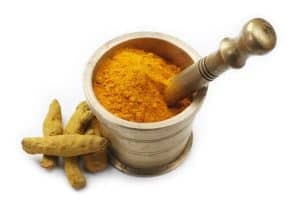 Study proves that curcumin ameliorates the toxic effect of this drug on the male reproductive system. Anti-malarial drugs exert toxic effects on tissues of the liver and the male reproductive system. Curcumin ameliorates such effects. 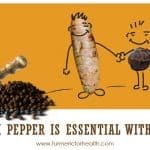 Turmeric due to its antioxidant and anti-inflammatory property works well as an adjunct for infectious diseases. 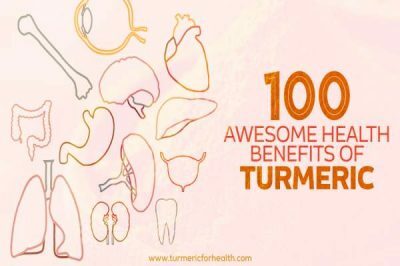 Turmeric milk is a great immune booster. It aids in increasing immune defense and improving overall health. 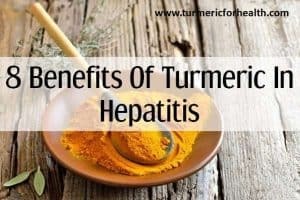 As an anti-inflammatory agent and anti-infectious agent, turmeric can aid in reducing fever and high temperatures are characteristic of malaria. Read: Turmeric for fever. 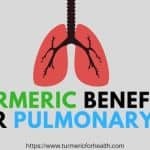 Turmeric works as an excellent anti-inflammatory agent and immune boosting agent that can help reduce malaise and high fever observed in malaria. 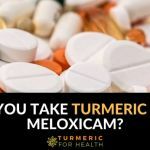 There is no prescribed dosage of turmeric for malaria. If you plan to take it in its natural form then 1-3g of dried powdered root is recommended. 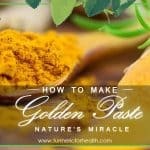 Golden paste combines turmeric with black pepper and oil for better absorption. It is advisable to start with small doses such as ¼-1/2 teaspoon a day for a week and increase the dose gradually over the weeks to minimize any gastric discomfort. The ideal dose would be close to 1-2 tsp 2-3 times a day (1 tsp three times a day precisely). 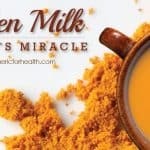 Turmeric Tea and Turmeric milk are also great options for reducing fever and improving immunity. If opting for supplements please consult a health practitioner prior to taking them. The recommended dose is 400-600mg 2-3 times a day. 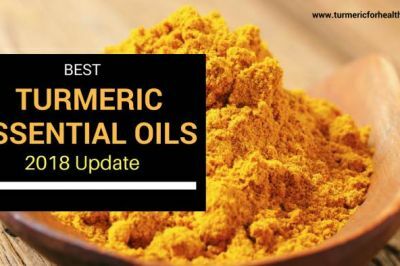 Standardized 95% curcumin extract with bioperine is advised. 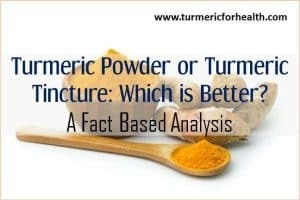 Turmeric in the diet is safe but should be consumed in moderation to avoid gastric discomfort. Also, initial gastric discomfort may occur but will subside gradually. 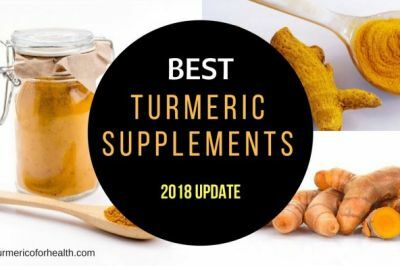 Avoid turmeric supplements during pregnancy and lactation. 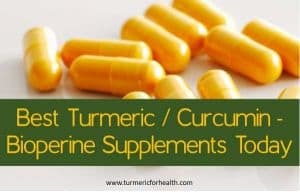 Avoid taking turmeric supplements if suffering from gallstones or bile passage obstructions. 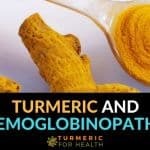 Turmeric supplements should be avoided when taking blood thinning medications. 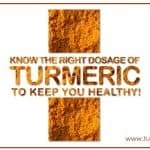 Turmeric in the diet should be consumed in moderation if susceptible to kidney stones or gout. 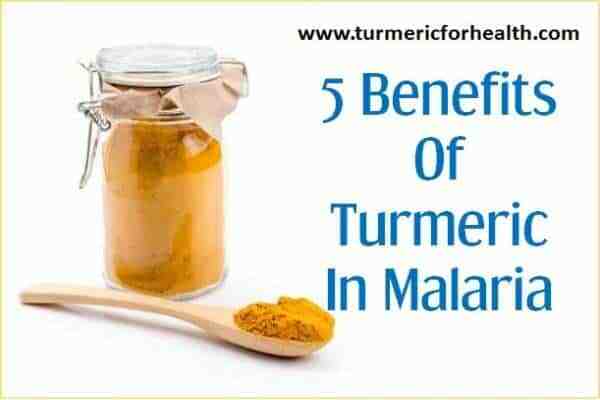 Turmeric shows excellent potential to be developed as an add-on to anti-malarial therapy. It not only terminates the infection but also ensures speedy recovery and prevents relapse. Additionally, it reduces the side effects posed by conventional therapy and even works against drug resistant strains. Turmeric serves as a multipurpose herb which works against various aspects of malaria and cerebral malaria. This is really helpful and invaluable information.